Microsoft chose to omit the Windows Media Center from Windows 10, and the new Windows DVD Player will cost $14.99. However, many of the same features are available for free in third-party alternatives, and our pick of the bunch is Macgo Free Media Player, an excellent bit of software that can play just about almost anything you throw at it. 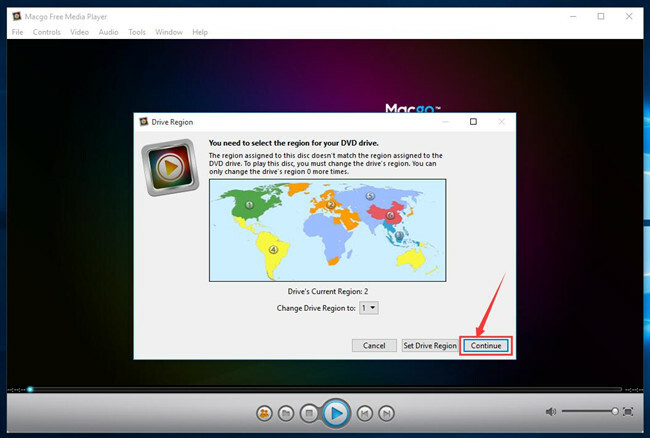 This tutorial will show you the details of using Macgo Free Media Player to play DVD for free on Windows 10. Free trial version is now available on Macgo Official Download Center, or you can click here to download Macgo Free Media Player. Keep the Setup file where you can easily find, like desktop, and then double click it to open the file, please follow the procedures precisely to finish the installment. After installing Macgo Free Media Player, you can double click on it to launch the program. The simplified main interface will reduce certain misoperation problems. You can see two buttons there: Open File and Open Disc. 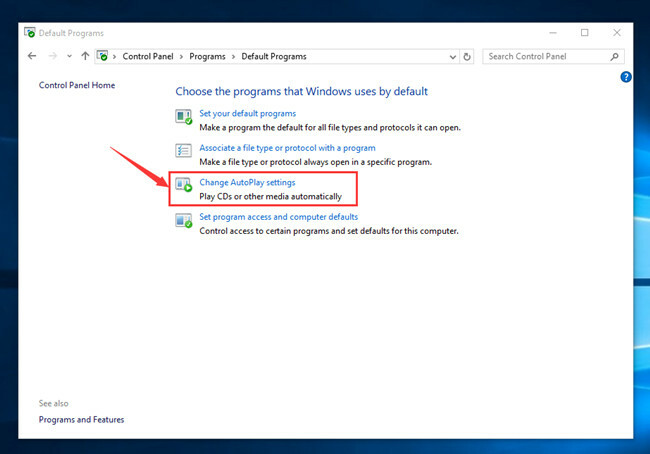 First, open Start Menu > All apps > Windows System > Control Panel > Programs > Default Programs, then you can click "Change AutoPlay settings". 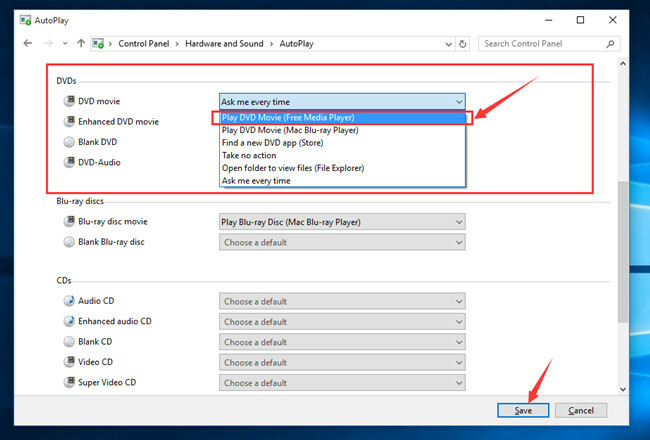 Wheel your mouse in DVDs section, choose "Play DVD Movie (Free Media Player)" under each item. After that please click "Save". Then Macgo Free Media Player will be your default DVD player. 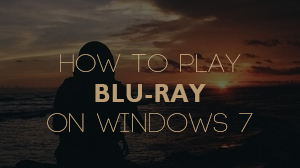 When you first insert a DVD, Windows 10 will ask you to select the region for your DVD drive, the program will help you to read the DVD and change to the right region automatically, just click "Continue" to start free DVD playback on Windows 10. After waiting for several seconds, the DVD Menu will come up. In the Menu, you can play the movie directly or select the Scenes, Bonus, Mini-movies, Setup and Previews. 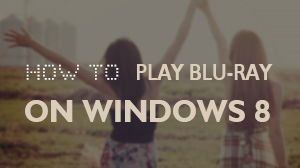 Afterward, you can enjoy the fantastic home movie with this free DVD player for Windows 10. 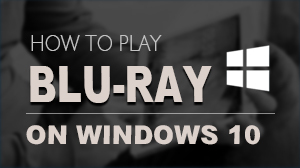 The most practial and reasonable-priced Blu-ray player software for Windows. Support Blu-ray Disc, Blu-ray ISO files, and BDMV folder. Support Windows 10.